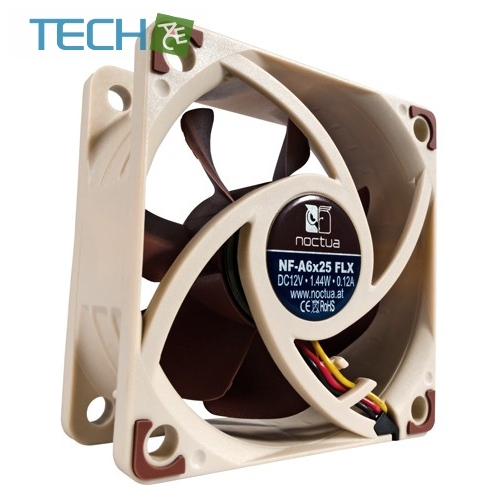 Thanks to its streamlined, compact motor design, the NF-A6x25’s motor hub is smaller than with conventional 4cm fans. 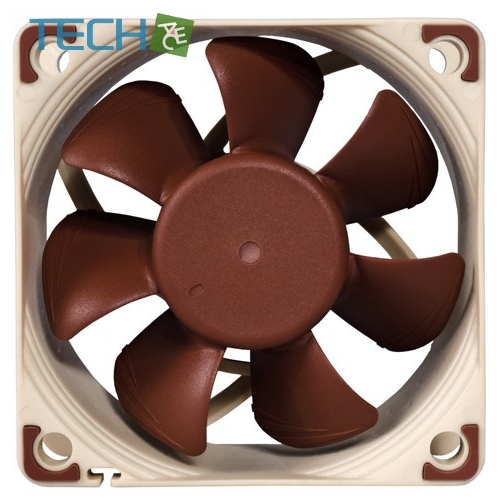 This allows for more blade surface area and thus contributes to the NF-A6x25’s superior airflow and pressure performance. The NF-A6x25 FLX (Flexibility) is supplied with a Low-Noise Adaptor (L.N.A.) 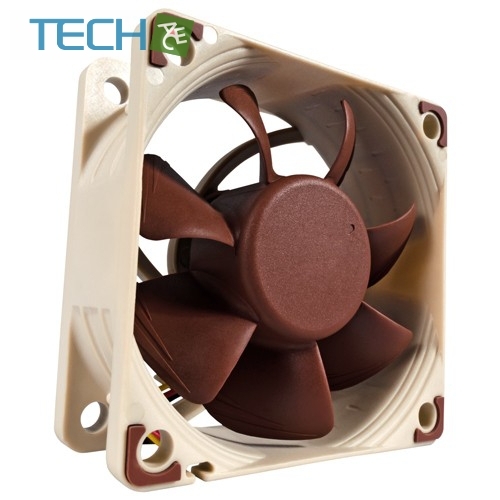 that reduces the maximum fan speed from 4500 to 3700rpm so that it can be fine-tuned for superior airflow or maximum quietness. 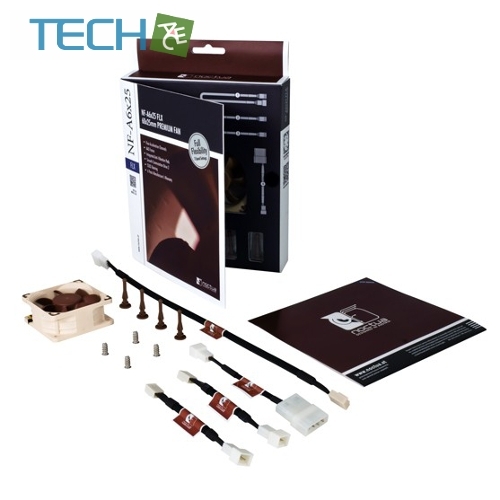 The NF-A6x25 comes with an adaptor from 3-pin Molex to the 2-pin connectors used on many graphics cards or network and storage devices. An integrated diode provides polarity protection on 2-pin connections.